Palestinian film Wajib has bagged the 'Suvarna Chakoram' (Golden Crow Pheasant) for the best International film at the 22nd International Film Festival of Kerala (IFFK 2017), which concluded in thiruvananthapuram on 15 December. 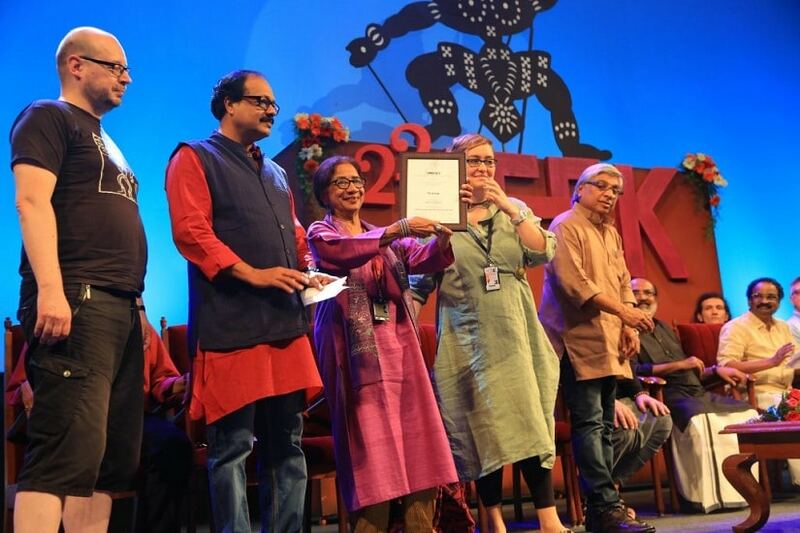 The Annemarie Jacir directed family drama gets a cash award of Rs 15 lakh, a certificate and a memento. The 'Rajat Chakoram' (silver pheasant) for the best director went to Thai filmmaker Anucha Boonyawatana for her film Malila: The Farewell Flower, while Colombian film Candeleria received the Jury's special mention. The 'Rajatha Chakoram' for the Best debut Director was presented to Sanju Surendran for his film Aden (Garden of Desire). This film also received the FIPRESCI award, instituted by the International Federation of Film critics. Indian comedy drama Newton directed by Amit Masurkar won the NETPAC and FIPRESCI awards, while Dinesh Pothen directed Thondimuthalum Driksakshiyum won the NETPAC award in the Malayalam category. The award for the best popular film was bagged by I Still Hide to Smoke, by Rahana Obermeyer from Algeria. The awards were presented by state Finance Minister Thomas Isaac and the function was presided by Culture affairs minister A K Balan. At least 190 films from 65 countries were screened at the eight day long festival, which began on a sombre note on 8 December as Kerala was hit by the Ockhi cyclone that claimed 66 lives and has left 95 missing so far. A formal inaugural ceremony also was not held this time due to the devastation caused by the cyclone.